Olympus has finally lifted the veil on its OM-D E-M1X, a pro sports-oriented 20.4-megapixel M43 camera which will be available from late February, with an RRP of $4499. Olympus also squeezed in the announcement of new flash and lens products, an FL-700WR Wireless Flash, a FC-WR Wireless Commander and FR-WR Wireless Receiver available from late February; along with the development of a M. Zuiko Digital ED 150-400mm F4.5 TC1.25x IS PRO super telephoto zoom lens and MC-20 Digital 2x teleconverter. Those who paid attention to the leaks and rumours from the last three weeks will already be familiar with the E-M1X camera. Practically all the information was spot on. Read Inside Imaging‘s ‘first look’ review here. – World’s best Image stabilisation: In combination with a M.Zuiko IS PRO lens, this technology enables the 5-axis sync IS to compensate for approximately 7.5 shutter speed steps. Since the pre-release info was correct, we’ll leave it here. Read the local press release here. 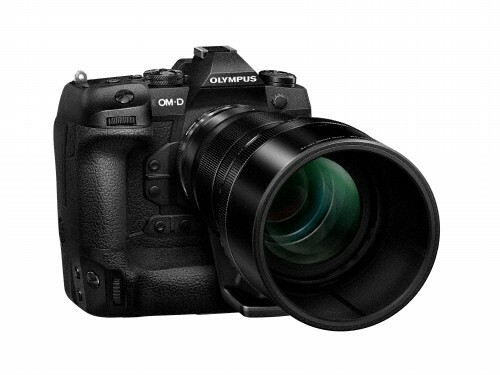 Olympus plans to have this super telephoto zoom lens released in 2020. It’s part of the M.Zuiko Pro series, meaning it has quality optical performance and a hardy sealed build makes it dust, splash, and freeze proof. The lens comes with a built-in 1.25x teleconverter, the first of its kind, which can extend the maximum 35mm equivalent focal length to 300-1000mm. The IS stands for in-lens image stabilisation. And that’s all we know. This teleconverter doubles the focal length of the lens mentioned above, and the M.Zuiko Digital ED 300mm F4.0 IS PRO and M.Zuiko Digital ED 40-150mm F2.8 PRO. The lens can also apparently double the magnification of the super telephoto zoom lens, for powerful macro shooting. 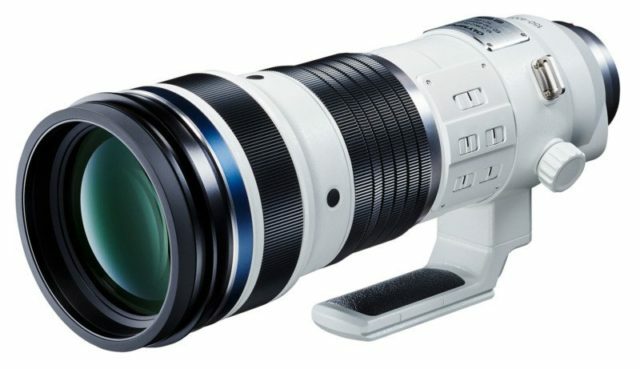 The MC-20 Digital 2x teleconverter is scheduled for winter 2019. Read the press release for the lens and teleconverter here. Scheduled to go on sale in late February, this Olympus wireless radiowave flash system is dust and splash proof making it ideal for on-location shoots. The FL-700WR delivers full flash power after a 1.5 second charge, and can fire up to 10fps during sequential flash shooting. A built-in wireless radiowave communication function can go as far as 30 metres, and works areas with obstructions. The flash is compatible with OM-D shooting modes, such as High Res Shot, Focus Stacking, and Focus Bracketing. It’s also equipped with Multi Flash mode, which ‘makes it possible to express subject motion by firing multiple times during long exposures or bulb shooting. The intensity, interval (frequency), and number of shots can be configured for perfect settings to match the subject’. – Charging completion indication: The FL-700WR flash emits an electronic sound when charging is complete. The FC-WR Wireless Commander can connect to three groups and an unlimited amount of flash units, with the ability to configure which groups to fire and at what flash intensity. Each group has a dedicated button, making it simple to adjust the shooting mode flash intensity. Read the flash unit press release here.